Kentuckiana is the name for the region of northern Kentucky and southern Indiana. And our area will have two public game exhibitions soon! 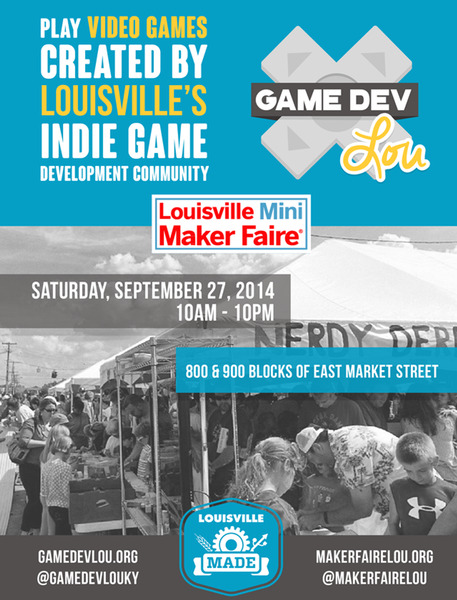 The first show will be this weekend at the Louisville Mini Maker Faire. The second show is the Free Range Arcade which will be in Bloomington, Indiana. This will be the second time they've held the event this year as it was a definite success. 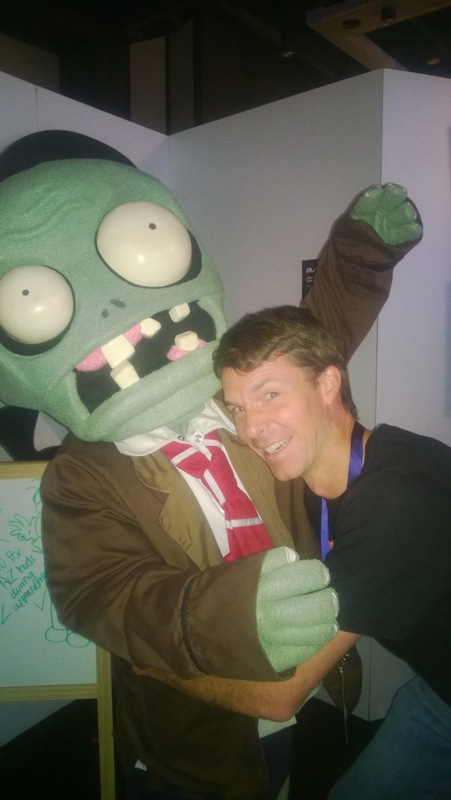 Free Range Arcade will showcase even more Kentuckiana-developed games, this time primarily by developers in Southern Indiana. And we'll have Pig Eat Ball there as well--complete with more improvements which I'll implement after each playtest and show! We'll also be showing Pig Eat Ball at the upcoming Cavalcade of Comics in November! 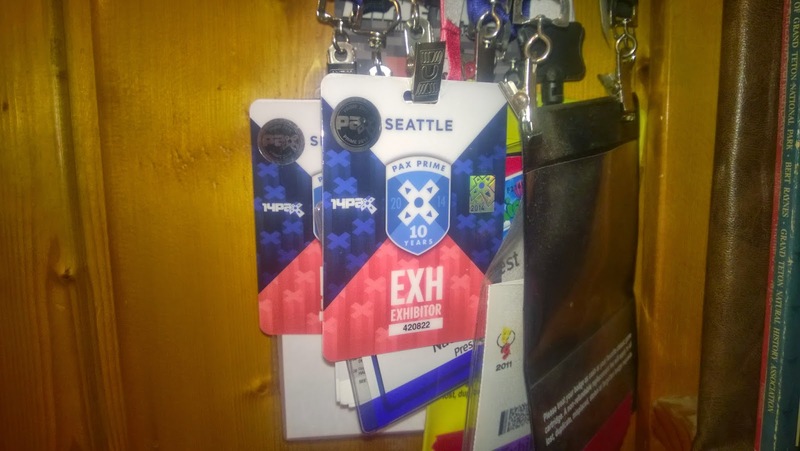 Feeling good to have plenty of places to showcases games made around here. If you're a gamer to who loves to play something new--come on by these shows! And if you're a developer interested in the "scene" 'round here, these are great places to chat up active devs making games in Kentuckiana! 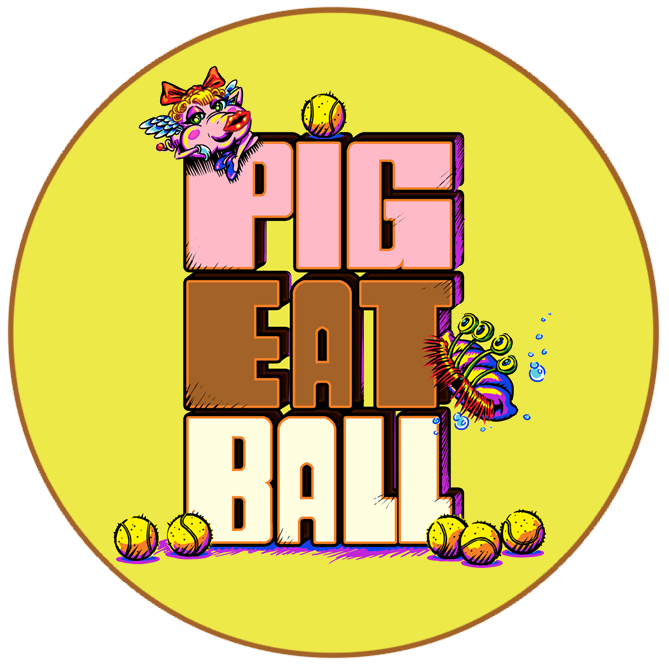 First off, we have a new logo for Pig Eat Ball! It took a while to find just the right look, but we hope you love it! And that it makes you hungry. And please vote for the game on Steam Greenlight! Please tell your friends too--every vote counts! 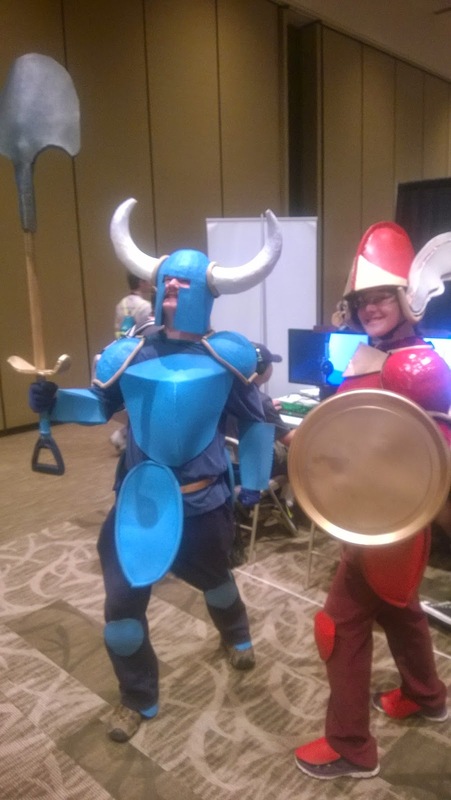 And the other big news is PAX Prime 2014 was a big hit for us! 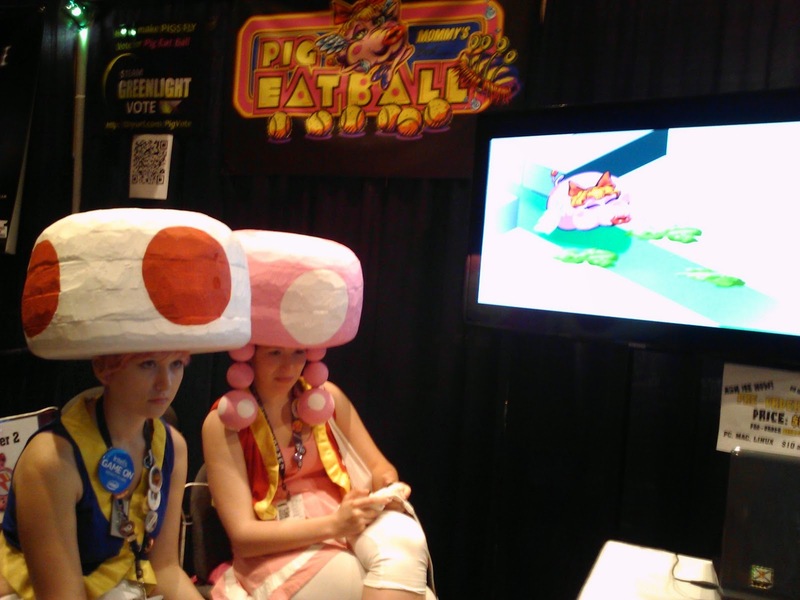 We had hundreds of people come through to play at the show and it seemed like everyone really enjoyed the game. It was also great for playtesting. Each day I would watch people play the single player and each night I would tweak any levels they were having problems with. Definitely got some valuable information from it. We also had some good media visits. 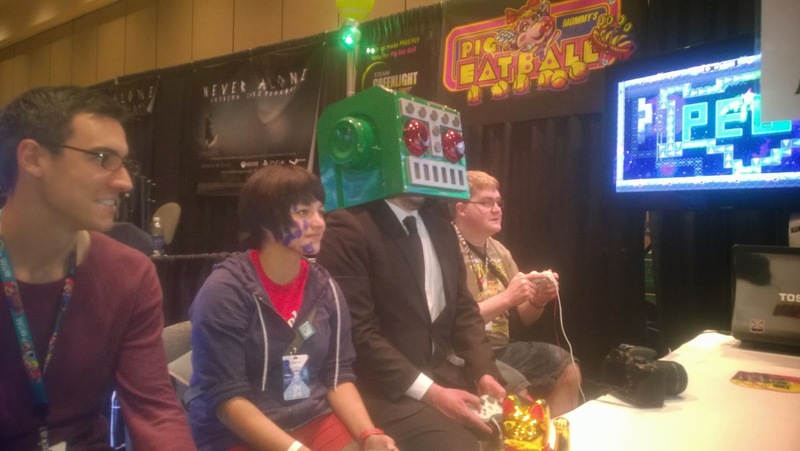 Razer, the game hardware company, had a team on the floor looking for fun indie games to play and they said Pig Eat Ball was one of their 3 favorites! Even Gamespot managed to find us and play the Party mode with our custom RMP SHKR controllers in their "PAX the Ultimate Show Tour" video. Danny O'Dwyer is dreamy... skip to about 24' 45" to see him play our game. 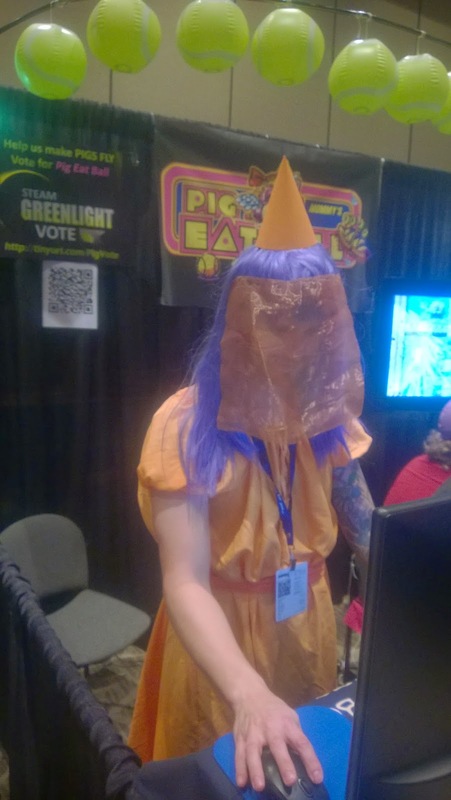 We had plenty of wild characters come through the Mommy's Best Games booth. And from the show floor, there was plenty of cool stuff to see as well. 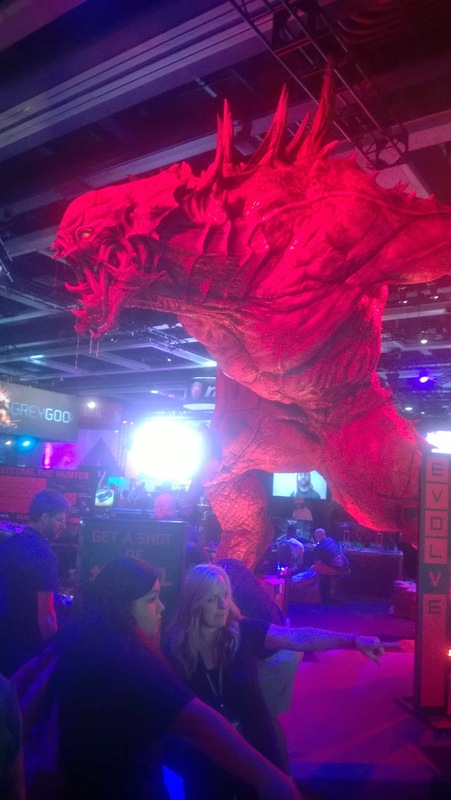 The Evolve monster was absolutely massive. 18 foot high? Bigger? It was hard to tell with the high show ceilings. 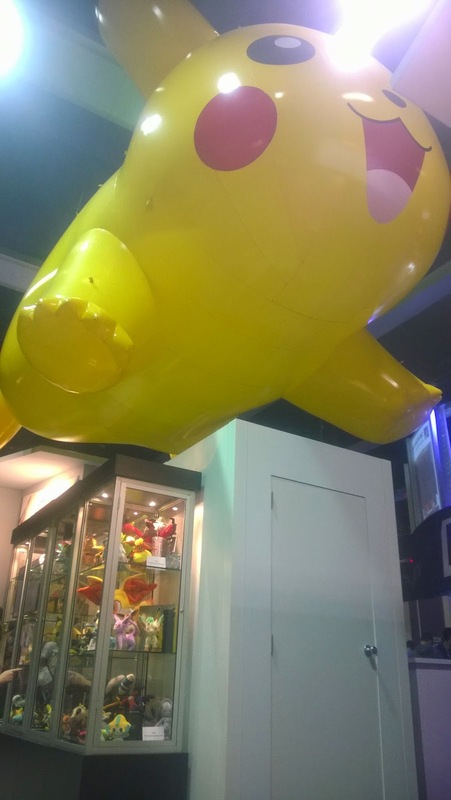 Pikachu keeping an eye on his collection. 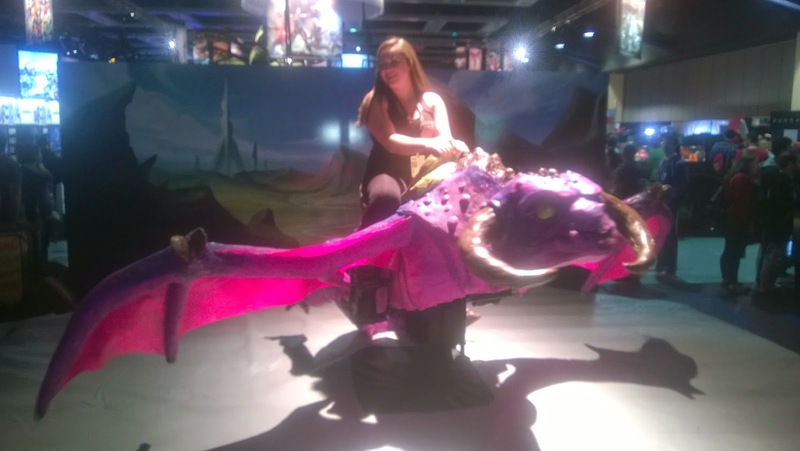 Operated like a mechanical bull... but it was a dragon! (Or wyvern I guess, don't think it had legs). And Amy and I even got to tour a bit of Seattle. 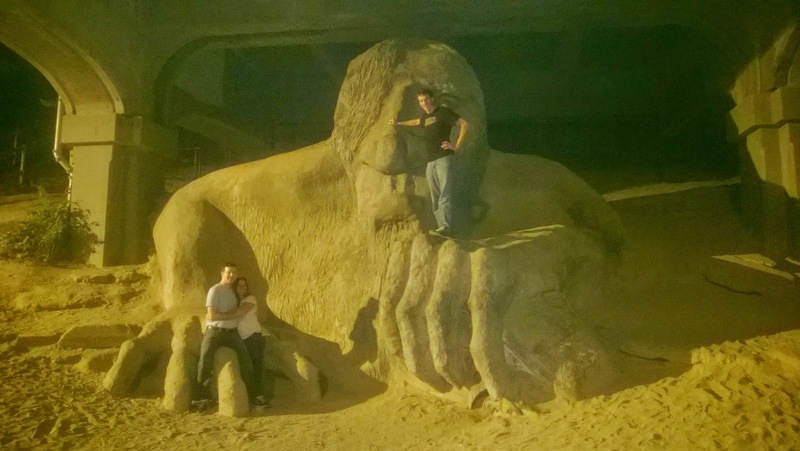 We visited the "Troll Under the Bridge" which was pretty spooky! It's a huge concrete sculpture hidden under an in-use bridge in the city. 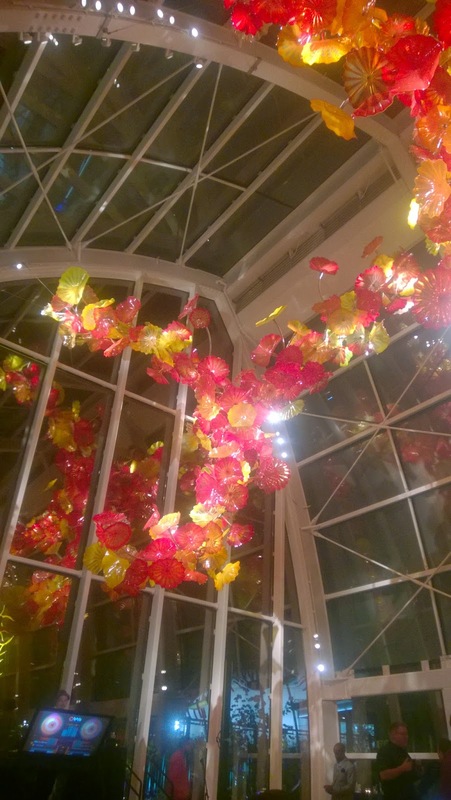 And another night we went to the Sony party which was in the Chihuly Glass Garden. It was gorgeous.